Add the latest Fourteen Data Rate (FDR) InfiniBand Performance 4X FDR IB UnManaged Switch with 34 ports Plug-in module for BladeSystems c-Class by Hewlett Packard Enterprise. Fourteen Data Rate (FDR) InfiniBand Performance 4X FDR IB 34 ports Unmanaged Switch Plug-in module for BladeSystems c-Class by Hewlett Packard Enterprise. 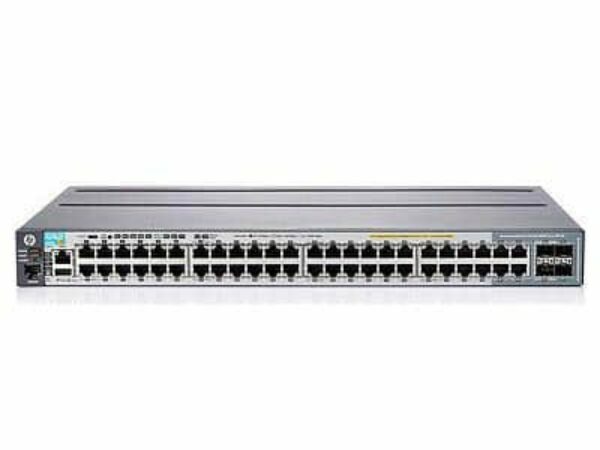 The HPE 4X FDR IB UnManaged Switch Provides up to 56 Gb/s full bidirectional bandwidth per port in a blade switch and Increases server throughput by 4X, providing 4 Tb/s of non-blocking bandwidth with 165 ns port-to-port latency. The HPE 4X FDR IB UnManaged Switch delivers unprecedented scalability and fabric flexibility. Available as unmanaged switch or managed switch for chassis management. Backwards compatible with QDR InfiniBand. Also Reduce power consumption over previous InfiniBand generations.